The Holidays are here and life cannot get any busier than this. End-of-the-year deadlines, multiple Holiday parties, family get-togethers, Christmas shopping, and you still have that daily grind. But we live for this season! As busy as it gets, make sure you get a moment to breathe and take a break from it all, you deserve it. This Holiday season you deserve an ocean front getaway at Shorebreak Hotel! Directly across from the Huntington Beach Pier, in what is officially known as Surf City U.S.A., sits Kimpton's Shorebreak Hotel. The boutique hotel has a relaxed surfer-chic vibe with surfboards and beach cruisers hanging in the lobby and a pro surf video playing on a large plasma screen. All throughout the property are games and activities to keep you busy, a good busy. There's a ping pong table and a giant "Connect-Four" game on the main floor. In the outdoor space is a giant chess board and also one of our favorites, corn hole (you know, that bean bag toss game that's fun to play). The hotel also has surfboards and beach cruisers for guests to use, so you can venture out on the waves or ride along the beach bike path. When you book a room, opt for an ocean view. The hotel sits on PCH and you can get a great view of the high surf and crashing waves of the famed Surf City. There's a lot to walk to - restaurants and shops are literally right outside your door. However, check out Zimzala, the hotel's restaurant, for Happy Hour. They offer delicious small bites and craft beer and cocktails. Also, in the lobby around 5pm, the hotel offers wine and a bourbon hot chocolate for a nice aperitif before dinner. Surf, savor, and shop - there's something for everyone in Huntington Beach. Shorebreak Hotel is a fun and relaxing beach refuge to vacationers and staycationers alike. A very comfortable bed to lull you to sleep. Happy Hour bites at Zimzala: fresh made pretzels with beer cheddar dip, and sliders with bacon compote. 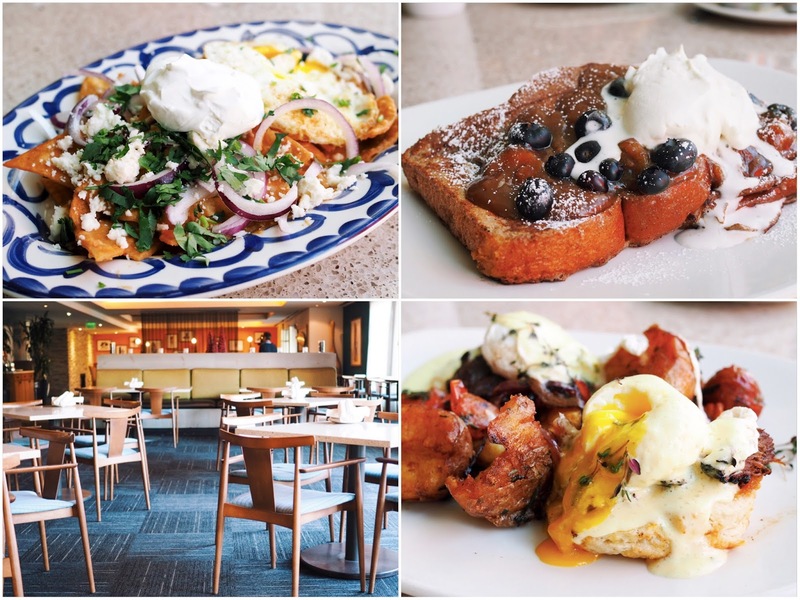 Clockwise from top left: chilaquiles; banana french toast with peanut butter maple; and short rib eggs Benedict. Fun things to do from the hotel. 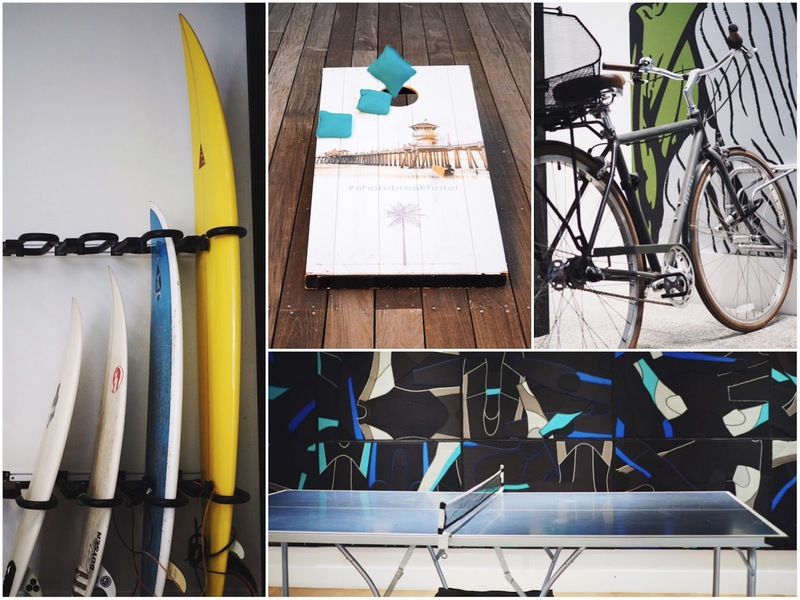 Clockwise from left: Surfing, corn hole, bike riding, and table tennis. 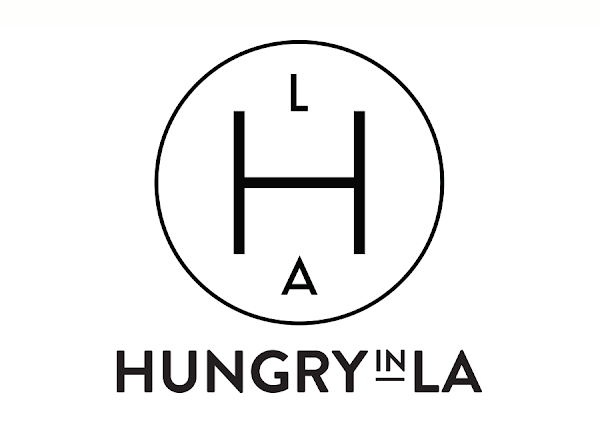 Special thanks to Kimpton Shorebreak Hotel for collaborating with Hungry in LA. As always, the content and opinions expressed here are entirely my own.